neuropathologist working with the Allegheny County Coroner’s Office, examined the brains of many deceased NFL players and was the first person ever to publish findings of chronic traumatic encephalopathy (CTE) in American football players. He is the central character that is portrayed by Will Smith in the film titled Concussion (2015). He later became the chief medical examiner of San Joaquin County, California. He is also a professor at the Department of Medical Pathology and Laboratory Medicine, University of California, Davis. Omalu started school at a very tender age of three. At the end of his primary education, he entered secondary school, which he had at the Federal Government College Enugu. Thereafter, he attended medical school which he started at the age of 16 at the University of Nigeria, Nsukka. After graduating with a Bachelor of Medicine and Bachelor of Surgery (M. B., B. S.) in June 1990, he did his clinical internship, and then got a job. He worked for a period of three years in Jos, Plateau State of Nigeria. When he was interviewed by a journalist; Jeanne Marie Laskas, Omalu told her that he became disillusioned with Nigeria after presidential candidate Moshood Abiola was denied the Nigerian presidency due to an inconclusive election in 1993. He began to search for scholarship opportunities in the United States. He traveled to Seattle, United State in the year 1994. There, he completed an epidemiology fellowship at the University of Washington. In the year 1995, he left Seattle for New York City. There, he joined Columbia University’s Harlem Hospital Center for a residency training program in anatomic and clinical pathology. After his residency, Omalu trained as a forensic pathologist under a well known forensic consultant Cyril Wecht at the Allegheny County Coroner’s Office in Pittsburgh. This was where Omalu became interested in neuropathology. Bennet Ifeakandu Omalu is a holder is a total of eight advanced degrees and board certifications, He received: fellowships in pathology and neuropathology from the University of Pittsburgh in the year 2000 and 2002 respectively, a Masters Degree in Public Health (MPH) & Epidemiology from the University of Pittsburgh Graduate School of Public Health, and a Masters Degree in Business Administration (MBA) from Tepper School of Business at Carnegie Mellon University in the year 2008. Omalu serves as chief medical examiner of San Joaquin County, California and is a professor in the UC Davis Department of Medical Pathology and Laboratory Medicine. Research on CTE. Source: Wikipedia with some modifications. See also: Concussions in American footballOmalu's autopsy of former Pittsburgh Steelers center Mike Webster in 2002 led to Omalu's discovery of chronic traumatic encephalopathy, or CTE. Webster had died suddenly and unexpectedly, following years of struggling with cognitive and intellectual impairment, destitution, mood disorders, depression, drug abuse, and suicide attempts. Although Webster’s brain looked normal at autopsy, Omalu conducted independent and self-financed tissue analyses. He suspected Webster suffered from dementia pugilistica, dementia induced by repeated blows to the head, a condition found previously in boxers. Using specialized staining, Omalu found large accumulations of tau protein in Webster's brain, affecting mood, emotions, and executive functions similar to Alzheimer's disease. 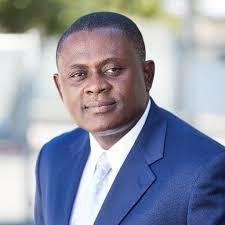 Together with colleagues in the Department of Pathology at the University of Pittsburgh, Omalu published his findings in the journal Neurosurgery in 2005 in a paper titled “Chronic Traumatic Encephalopathy in a National Football League Player.” In it, Omalu called for further study of the disease: “We herein report the first documented case of long-term neurodegenerative changes in a retired professional NFL player consistent with chronic traumatic encephalopathy (CTE). This case draws attention to a disease that remains inadequately studied in the cohort of professional football players, with unknown true prevalence rates.” Omalu believed NFL doctors would be "pleased" to read it and that his research could be used to "fix the problem." The paper received little attention initially, but members of the NFL’s Mild Traumatic Brain Injury (MBTI) Committee later called for its retraction in May 2006. Their letter requesting the retraction characterized Omalu’s description of CTE as “completely wrong” and called the paper “a failure.” Omalu later partnered with Julian Bailes, a neurosurgeon and concussion researcher, and lawyer Robert P. Fitzsimmons, to found the Brain Injury Research Institute, establishing a brain and tissue bank. In November 2006, Omalu published a second Neurosurgery paper based on his findings in the brain of former NFL player Terry Long, who suffered from depression and committed suicide in 2005. Though Long died at 45, Omalu had found tau protein concentrations more consistent with "a 90-year-old brain with advanced Alzheimer’s." As with Mike Webster, Omalu asserted that Long’s NFL career had caused later brain damage and depression. Omalu also found evidence of CTE in the brains of retired NFL players Justin Strzelczyk (d. 2004 at 36 years old), Andre Waters (d. 2006 at 44), and Tom McHale (d. 2008 at 45).In summer 2007, Bailes presented his and Omalu's findings to NFL Commissioner Roger Goodell at a league-wide concussion summit. Bailes later said the research was "dismissed." The NFL's MBTI committee chair, Dr. Ira Casson, told the press: “In my opinion, the only scientifically valid evidence of a chronic encephalopathy in athletes is in boxers and in some Steeplechase jockeys. "The NFL did not publicly acknowledge the link between concussions sustained in football and CTE until December 2009, seven years after Omalu's discovery. Omalu has also discovered CTE in the brains of veterans, publishing the first documented case in a November 2011 article. Omalu found evidence of CTE in a 27-year-old Iraq War veteran who suffered from post-traumatic stress disorder (PTSD) and later committed suicide. Omalu’s paper links PTSD to the CTE spectrum of diseases and calls for further study.In popular media. The efforts by Dr. Omalu to study and publicize CTE in the face of NFL opposition were reported in a GQ magazine article in 2009 by Jeanne Marie Laskas. The article was later expanded by Laskas into a book, Concussion, and a film of the same name. Omalu is portrayed by Will Smith. The movie's production led to the creation of a foundation named after Omalu to advance CTE and concussion research. Omalu is married to Prema Mutiso, with whom he has two children, Ashly and Mark. He is a practicing Catholic.